Similar to Last year, along with fans from Japan, China/HK/Taiwan and around the world, a Yukirin Birthday Message Festival campaign has been organized to celebrate Yukirin’s 23rd birthday on July 15th. There are two parts to the campaign. 1. The goal is to leave 10,000 comments at Yukirin’s Ameba Blog. Typically, she will have a blog post talking about her own birthday that day, but the campaign will start with the latest post on July 15th at midnight. I wrote a How to leave a comment on Ameba blog guide. 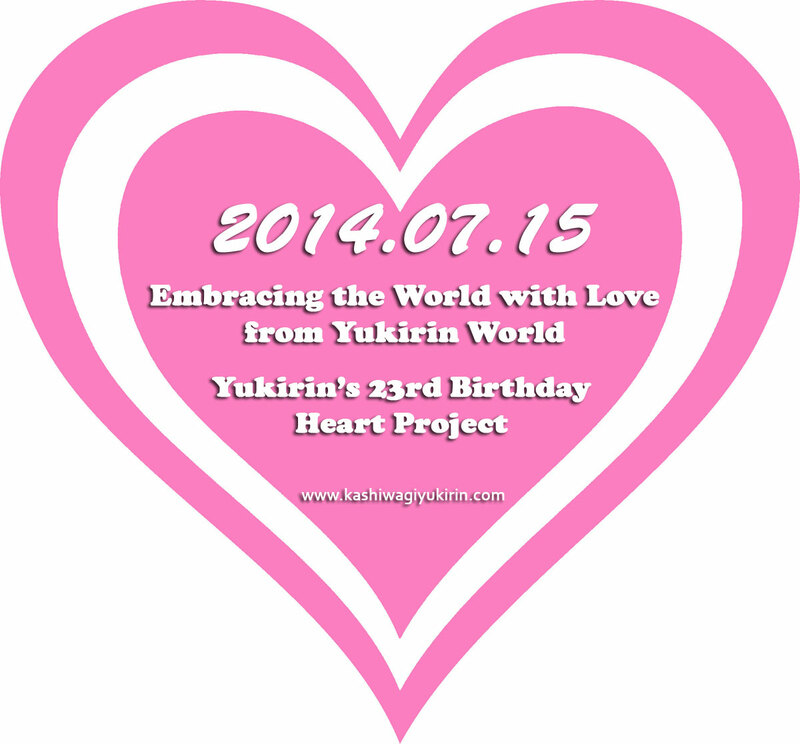 Let’s all wish Yukirin a wonderful birthday on July 15th!! 2. To tweet at 4 different times on July 15th, 0:00 / 8:00 / 12:30 / 22:00 Japan Standard Time. And also, use ゆきりん many times in many tweets! 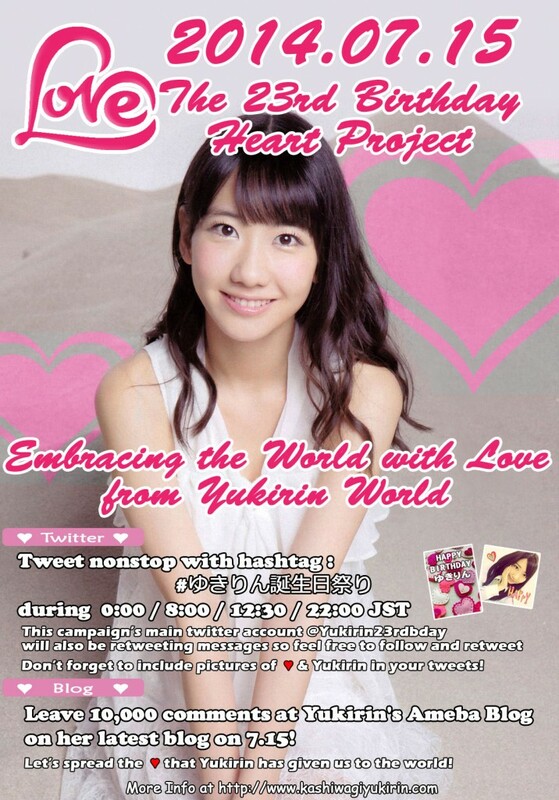 As well, tweet as many Yukirin with Hearts pictures. 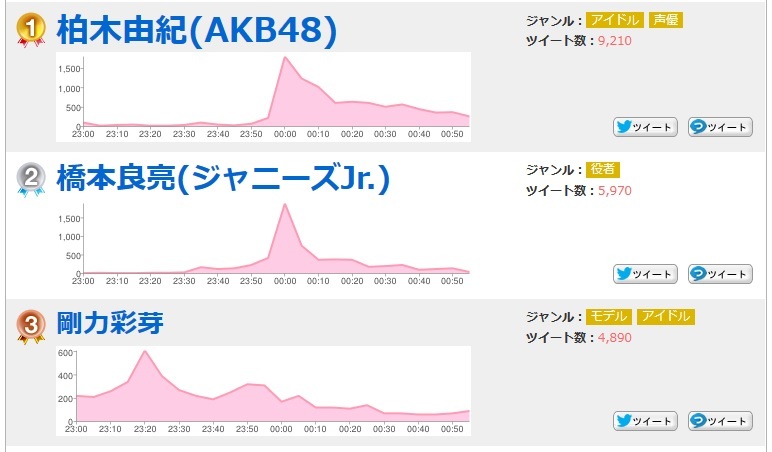 The goal is to get Yukirin onto the keyword rankings on various trend sites and on Yahoo! real time buzz ranking! Please spread this info!!!! Thanks!!! If you have any questions, feel free to a comment.